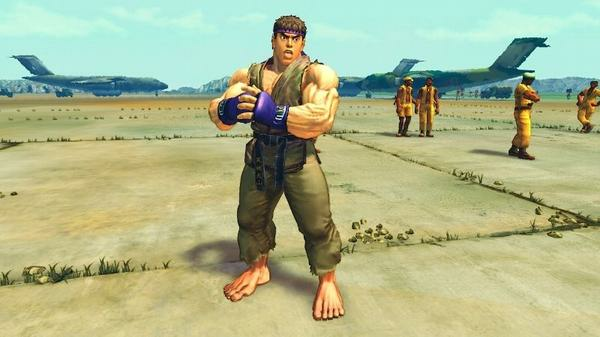 The airfield is set in Africa, but takes many cues to Guile's old Street Fighter II stage. It features several onlookers that appear to be of military origin, bearing guns. A plane also begins to roll into sight somewhere between the first and second rounds. 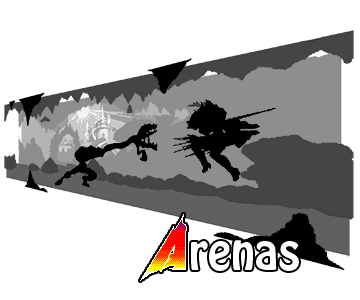 The plane wing can be broken off if a special move is performed in the general area of it. The plane door opens to reveal Balrog (M. Bison/ Boxer) in the plane, but if Balrog is in the fight it will be Vega (Balrog/ Claw). If Balrog AND Vega are fighting, M. Bison (Vega/ Dictator) will appear in the plane. This is amusing since these are the three characters with the name confusion, since they swapped names from the Japanese to English version of Street Fighter II, and have carried them on since.